/ What Are Your 2012 Design Resolutions? 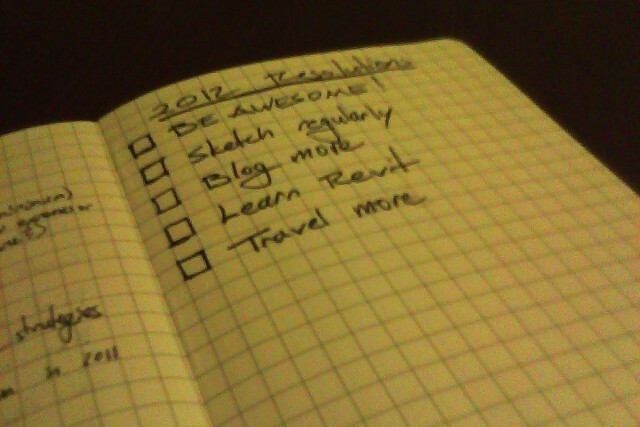 What Are Your 2012 Design Resolutions? Finally, last night, I realized something: I had become a professional job seeker. For twenty-two months, I have been unemployed and acting like it, hoping that the economy would improve, architecture would rebound, and someone would hire me. All of my actions to date have revolved around that. Really, there’s nothing wrong with it; that is what most people are doing these days, at least among the unemployed. But I realized I had to make a choice: Am I a professional job seeker, or am I an architect?